The External Auditor of the National Health Insurance Scheme, NHIS, Zakari Sada, has been adopted by unknown gunmen on Saturday along the Kaduna-Abuja highway. Sada was reportedly kidnapped with his driver. 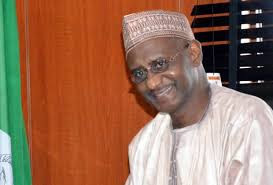 This comes three days after the suspension of the Executive Secretary of the NHIS, Prof. Usman Yusuf, for three months over alleged embezzlement of funds. It was gathered that Sada was travelling from Abuja to Kaduna when he was stopped by the kidnappers around Katari area at 4.30pm. The kidnappers have reportedly contacted his family members, demanding an undisclosed amount as ransom. A woman was reportedly killed by a stray bullet when the kidnappers attacked. A source said the police had arrested 17 suspects so far, adding that the victims would soon be rescued. He said, “We received information on Saturday that a gang of armed herdsmen ambushed the NHIS auditor and dragged the man and his driver into a nearby bush. The suspects then put them on some motorcycles and fled. “Investigation showed that about four gangs operate along that road. We have been able to smash two of the gangs and we have arrested 17 suspects.